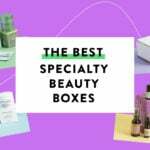 Julep Maven December 2018 Selection Time + Free Box Coupon! Like a cool rush of frosty winter air, this month’s nail collection is the refreshing update your party look has been longing for. The glistening cool tones and jewel-inspired dark hues exude arctic-chic with every toast and every shimmy on the dance floor. She’s back, but for a limited time only! Light on Your Lips Full-Coverage Crème Lipstick glides on with rich, saturated color—without the weight. Our light-as-air formula is packed with hydrating rosehip seed oil and shea butter mixed with extra-finely milled pigments for full color payoff. It’s lip color that glides on, feels like nothing, but looks like everything. Plus, it doesn’t feather, so your lips will always look party-perfect. This is my first maven box. Just wondering, do items tend to sell out? I tried to swap out an item from my box and it looks like there are very few options (compared to this morning) and no nail polishes left. I’ve seen a few sell out but just a note that if you start with an empty box there will be all the options shown. Once you add an item, the list filters to those at a low enough value to still be included in the box, etc. So if you just swap out one item all of the items might not appear to be able to swap in instead if they are a much higher value. Hope that makes sense…. Thank you! That does make sense. Do you chose all of your monthly products or just one? How many products do you get each month? You can choose all of your items and it depends what you choose but typically you will end up with 3-4 items. For example if you got 3 polishes you will get to choose some kind of accent (like the decals) to go with. However if you get a make up item you will only end up with 3 items. They also will restrict your options as you choose so you can’t get like the top 3 most expensive items to choose from for that month (if that makes sense). Has anyone gotten their November box yet? I signed up in October and got the 12 bottles of nail polish gift. Then got an email saying there was a data breach during the time period I signed up. Then I got an email saying the November box was going to be late. Haven’t heard anything else since. Not the best introduction to a sub box! I haven’t got mine yet, but it should be here by the end of the week. I’ve been a subscriber since July and this is the first time it has been late. Mine’s arriving today. I’ve been with them for over a year, and this is the first time anything like this has happened. For me, the box usually arrives within the first few days of the month. I quite like this collection – even though I likely have dupes from over the years of being a Maven. I can always use more snowflake decals!! !